I received the most wonderful package in the mail over the weekend! A couple of weeks ago I tried my luck at a giveaway on one of my favorite artist blogs—and I WON! Original art! By a very favorite artist who lives now in Miami but is originally from Venezuela! 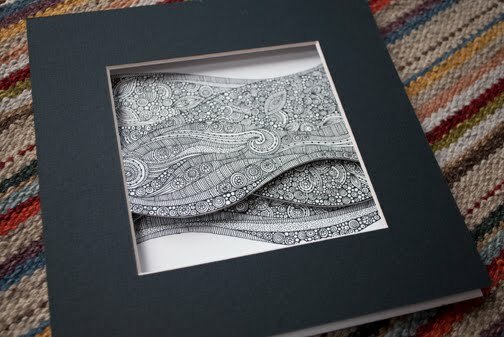 Valentina Ramos' art is truly exquisite—the detail in the patterns of her beautiful illustrations and art blows me away. And, now I own an original piece of hers. It's a beautiful three dimensional piece and I am in love. Please visit her website or her Etsy store and show her some love, too! Now, my dilemma, where to hang it? !